FinalRune Productions is working on a big story. It follows the survivors of a man-made apocalypse, who struggle to survive in a world without oil. Some survive by thriftiness and old ways, living off the land and farming. Others survive by steel will, robbing and killing to survive. Others see opportunity in the desolation and use it to launch their own ambitions. In the midst of this, a brother and sister come of age and set off on a journey to understand the strange world they've inherited. So begins FinalRune's epic The Cleansed, with a cast of 30, a sprawling journey, multiple story-lines and three seasons planned. But The Cleansed isn't coming to a TV, theatre, or videocast near you. It's coming to your nearest set of headphones or speakers. The Cleansed is an audio drama, like the material America made famous in the 40s and 50s but using contemporary stories, production techniques, and distribution tools. The medium has felt a big revival thanks to the internet, due in no small part to FinalRune, originating out of rural Maine. Even among audio drama contemporaries, FinalRune is off the beaten path, recording all of their productions on location while others prefer the control of a studio. Director Fred Greenhalgh explains: "When you record on location, the environment itself becomes another character that actors can act against, react to, and work with creatively. On our latest show, for instance, we had access to a set of 100-year old catacombs under a mill building in Maine. We had to do this scene with one group of actors chasing the other through the sewers. We ended up use two sets of catwalks on opposite ends of the space, one group chasing the other and both shouting back and forth. We had two recordists, one close miking the main group of characters with the NTG-2, the other capturing the reverberation of the two groups with the NT4. The resulting recording is amazing, you could never do it in a studio." 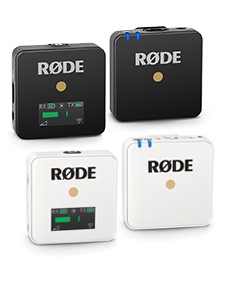 "The combination of the RØDE NT4, Mini Boompole and Blimp allows me to turn the world into my sound recording studio. We have subjected this kit to considerable abuse - in blizzards, rain/mist, offshore island recording - and the equipment is no worse for it, and more importantly, our recordings are pristine. I particularly love the convenience of recording in X-Y stereo sound with the NT4 on location with no hassle. We have recorded breathtaking sonic environments with our actors, as they canoe, climb, grapple, and run in the effort to create a film-like audio environment." 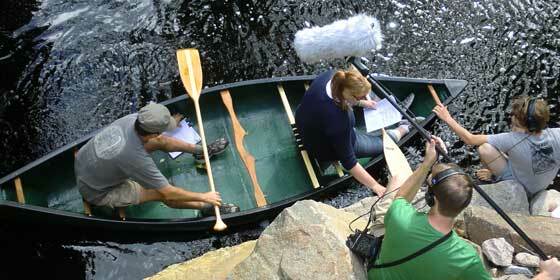 After a busy Autumn season consisting of five sessions on location in Southern Maine, Greenhalgh is in the studio mixing and editing the serialised drama, which will be released in March 2012. 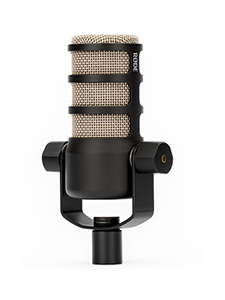 In studio, he uses a RØDE Procaster for his voiceover work. "I do all of our continuity and promo work, so it's critical to be able to record a good voiceover from home. 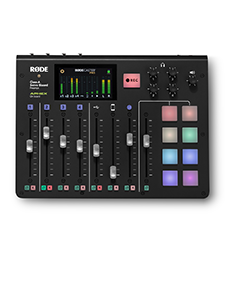 The Procaster really delivers." Episodes will be released freely as 5-minute podcast instalments on www.thecleansed.com - the pilot is available now.